MakeupbyEesha: 'Deliciously Forbidden' - Make-up Look! 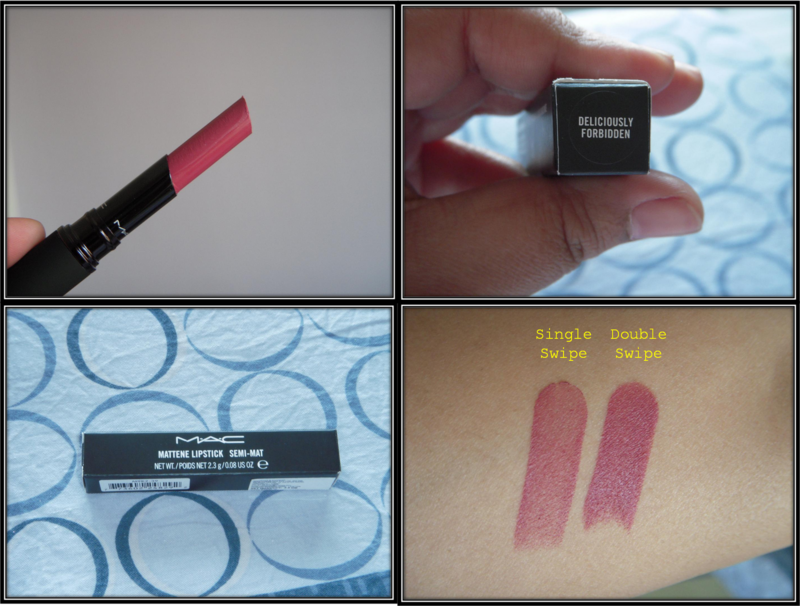 This post features a lipstick from recently launched Posh Paradise Collection by MAC in India. They are Mattene - Semi Matte formula lipsticks. The formula is just awesome, it glides on your lips and stays put for hours together. Since they have a 'matte' finish, one needs to moisturise their lips really well before applying the lipstick. And if you have dry and chipped lips, you may want to use a lipgloss on top of it, beware, the lipgloss may reduce the wear time. The collection has a wide range of shades from nudes to reds to berries. I picked up 'Deliciously Forbidden' which is a pinkish berry shade. I just love this shade and I am happy that I don't have a similar shade in my collection. It comes in a sleek tube with valvetty cover, which I, personally, don't like as it attracts dirt and look shabby after some time. I hope the review was helpful and did you like the shade on me? 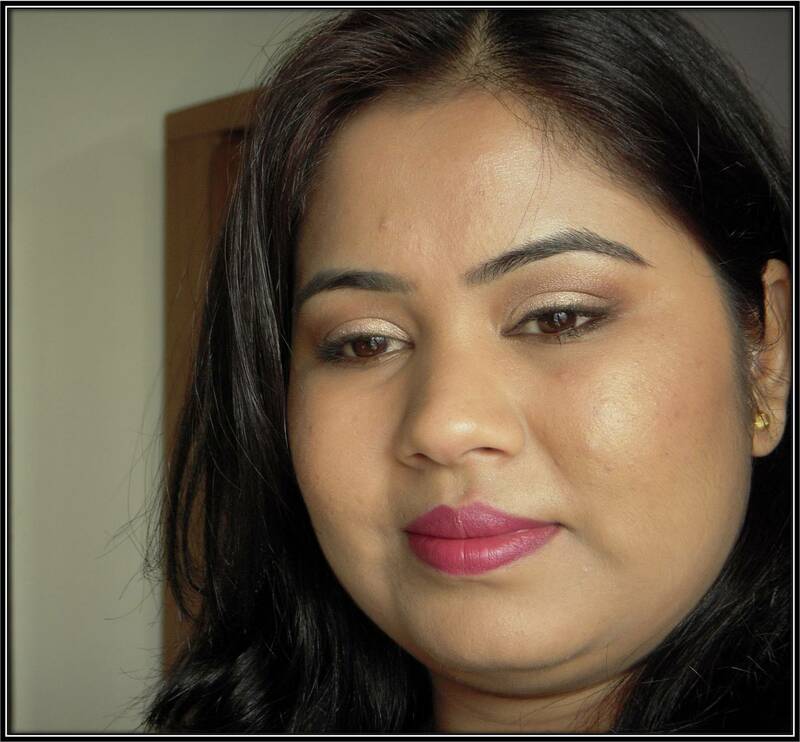 Between, I have made changes in my camera settings, to enhance the make-up shades. Let me know if the pictures are better than my previous one's which were really washed out. I am so relaxed today as we have an extended weekend, Friday off for Gudi Padwa. 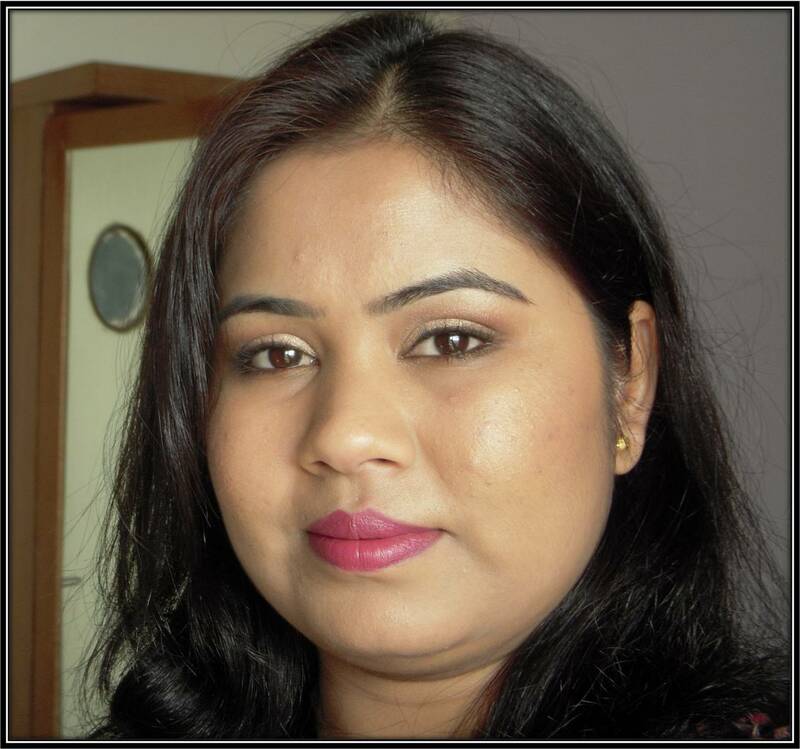 I am all set to relax over the weekend and do lot of make-up looks to cover up for a busy week ahead. Hope you all have a great extended weekend (if you have). Pretty shade esha..it looks great on you! I have dry lips so I kind of try to stay away frm matte finish lipsticks..but yes this one is pretty! Hi Eesha..the lippi luks lovely and am planning to get it..Is it very different from Captive? ?..